NYC for the National HS Musical Theatre Awards! The 45th MACY Awards were a Great Success. Michael Burrell from Orange Lutheran HS! National HS Musical Theatre Awards! 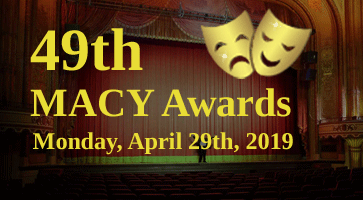 ORDER YOUR DVD OF THE 49th SPIRIT OF THE MACY AWARDS CEREMONY! 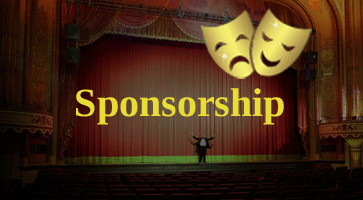 Become a Sponsor/Patron of Spirit of the MACY Awards! 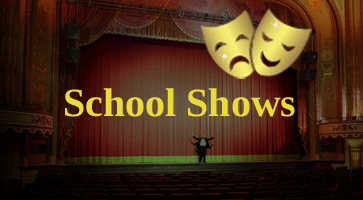 With support from our alumni, families, local businesses, organizations and members of the public, we can help the preforming arts thriving in Orange County high schools and change the lives of many students by helping them reach for their dreams. Click here for more information. 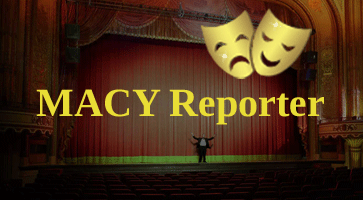 The Spirit of the MACY Awards is proud to have McCoy Rigby Entertainment as our professional theatre affiliate.